An in-depth review of key techniques in software error detection Software error detection is one of the most challenging problems in software engineering. Now, you can learn how to make the most of software testing by selecting test cases to maximize the probability of revealing latent errors. 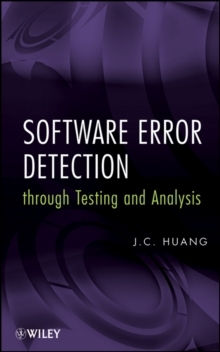 Software Error Detection through Testing and Analysis begins with a thorough discussion of test-case selection and a review of the concepts, notations, and principles used in the book. 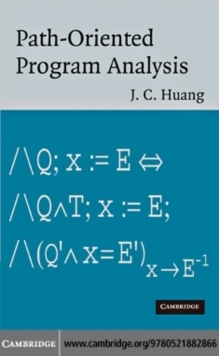 Next, it covers: Code-based test-case selection methods Specification-based test-case selection methods Additional advanced topics in testing Analysis of symbolic trace Static analysis Program instrumentation Each chapter begins with a clear introduction and ends with exercises for readers to test their understanding of the material. Plus, appendices provide a logico-mathematical background, glossary, and questions for self-assessment. 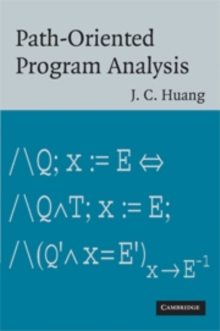 Assuming a basic background in software quality assurance and an ability to write nontrivial programs, the book is free of programming languages and paradigms used to construct the program under test. Software Error Detection through Testing and Analysis is suitable as a professional reference for software testing specialists, software engineers, software developers, and software programmers. It is also appropriate as a textbook for software engineering, software testing, and software quality assurance courses at the advanced undergraduate and graduate levels.